Serendipity Reviews: Crave Blog Tour - Melissa Darnell in the hotseat! Crave Blog Tour - Melissa Darnell in the hotseat! 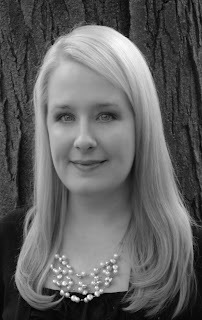 As part of the Crave blog tour, I am pleased to have debut author Melissa Darnell on the blog today answering questions about her book deal. I understand Harlequin offered you a three book deal. How did that make you feel? Shocked, then grateful, then excited, then intensely determined to do my absolute best to make sure that every sequel in the Clann Series more than meets Harlequin's expectations as well as readers'. A three book deal brings with it a lot of responsibility, because it says the publisher believes in not only the manuscript you've presented so far, but in your future unwritten work as well. It's a huge honor to know that Harlequin has that much faith in me, despite my being a first time YA author. The cover is amazing. Did you have any say in the development of it? For the U.S. version, I submitted some general ideas to my editor, then the awesome cover designers at Harlequin ran with them. I got to see several mock-ups of various different possible designs, upon which my agent, editor and I all tossed around some revision ideas. Then the cover designers took those suggestions and came up with the final beautiful design. My editor is also really great about asking for my feedback on the back cover copy. For the foreign versions, however, authors are not usually consulted nor do we generally get to see the designs before they are revealed to the public. So for those versions, you'll generally see some pretty widely varying designs that may or may not reflect the original version's cover. So far, I've been beyond lucky to get some pretty awesome covers on the foreign versions! I actually did not sign with an agent until after I received the 3 book deal offer from Harlequin. I understand there are two more books in the series. Have you finished writing them? I finished writing the second book in the series, Covet, last fall and have recently begun the rough draft for Consume, the third book in the series. The cliche "keep reading" is true for a reason. Not only does it show you what's been done, but it helps inspire you to be creative and try something new. Reading stories by lots of different writers in different genres is also important because it helps you learn what works and what doesn't. Genres can quickly get oversaturated, so staying flexible as a writer is a necessity...consider writing in lots of different genres or even combining multiple genres within one story if you want to have a lasting career as an author. And also try to read lots of nonfiction books about writing, because they will teach you so many wonderful techniques that will more rapidly improve your writing and storytelling skills. Some of my favourites are From First Draft to Finished Novel by Karen S. Wiesner, Novel Shortcuts by Laura Whitcomb, Write Good or Die by Scott Nicholson, The Breakout Novelist by Donald Maass, and literally every article and ebook by either Vicki Hinze or Holly Lisle. Most of all, aspiring authors should definitely learn to love the revision process, because it's where the "okay" stories become great! That's the beauty of being a writer...you don't have to be perfect the first time you write something! Give yourself permission to write terribly in the rough draft so you have something to work with. And if an editor ever turns down your story but gives you revision suggestions and invites you to resubmit, DO IT! Crave was turned down by Harlequin Teen editor Natashya Wilson at first, but she took the time to tell me what changes it needed and encouraged me to resubmit it. It took me months to make those changes and resubmit, and another 6 month wait to hear back, but it resulted in a 3 book deal. Editors have so little time available in their schedules, so if they take the time to offer you advice, that's a huge compliment that you should strongly consider following. Both aspiring writers and readers alike should please feel free to visit my websites www.TheClannSeries.com or www.MelissaDarnell.com to contact me. I love hearing from readers, and there is nothing I love to discuss more than writing with a fellow writer! I just finished it and really enjoyed it. My kind of series.